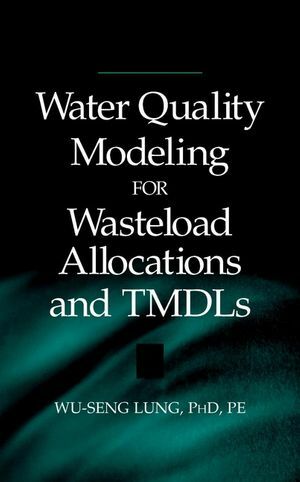 Water Quality Modeling for Wasteload Allocations and TMDLs provides practical guidance for engineers charged with determining the volume and character of wastewater that a body of water can receive without suffering environmental damage. Following the discussion on water pollution control regulations and their relationships to water quality modeling and wasteload allocation for determining the total maximum daily load (TMDL), the first half of the book focuses on quantifying the model coefficients to characterize physical, chemical, and biological processes of a variety of water quality problems. Water Quality Modeling for Wasteload Allocations and TMDLs is an essential resource for state and federal water quality agencies, consulting engineering firms, publicly owned treatment works, environmental biologists and chemists, and public health officials involved with pollution control. WU-SENG LUNG, PhD, PE, is Professor of Environmental Engineering in the Department of Civil Engineering at the University of Virginia.